Nexium (esomeprazole) is a drug used to treat gastroesophageal reflux disease (GERD), heartburn, acid reflux, stomach ulcers, and esophagus inflammation. It is one of the most commonly used over-the-counter medications in the United States. However, an increasing number of scientific studies have indicated that Nexium may be far from safe. People who take the drug may be at risk for injury to their kidneys, kidney disease, or kidney failure. Side effects including risk of bone fracture have also been alleged. Some takers of Nexium who have suffered these and other serious side effects have sued AstraZeneca claiming that they were not adequately warned about the dangers of the drug. Contact drug injury lawyer Bart Bernard today if you believe you have questions about your legal rights in the wake of Nexium injuries. Nexium is manufactured by AstraZeneca, a leading pharmaceutical company that generates roughly $6 billion per year in sales from the drug. Nexium is one of a class of drugs called proton pump inhibitors (PPIs). It is widely prescribed for people who find other forms of treatment, such as stopping smoking, difficult to achieve. Nexium and other medications in the class, which include Prevacid, Prilosec, Nexium, Protonix, and Aciphex, are widely considered both safe and effective. As a result, nearly 15 million Americans use them. PPIs as a class are worth more than $14 billion in sales every year. Researchers have found the following potential risks linked to Nexium in published studies. The U.S. Food and Drug Administration required that manufacturers add warnings to the label of Nexium and several other PPIs in 2014 because of the risk of acute interstitial nephritis with use. This condition causes inflammation of the kidneys, which may result in chronic and long-term kidney injury. A study published in the Canadian Medical Association Journal during April 2015 indicated that Nexium and several other PPIs are associated with up to 2.5 times increased risk for developing acute kidney injury (AKI). AKI causes the kidneys to abruptly lose function. The risk was especially high for elderly patients. A recent study, in February 2017, observed that Nexium and other PPIs caused a higher risk of kidney disease and kidney failure, even if patients did not have an AKI. In early 2016, JAMA Internal Medicine published a study indicating that patients with heartburn who used PPIs had a 45% increase in risk for chronic kidney disease. The Journal of the American Society of Nephrology found that people taking Nexium and other PPIs had 28% more risk of developing chronic kidney disease and 96% more risk of kidney failure than people who were taking another treatment, histamine H2 receptor blockers. The Journal of the American Medical Association found the patients taking PPIs, including Nexium, had from 20% to 50% more risk of developing chronic kidney disease. People with chronic kidney disease may develop symptoms such as fluid in the lungs, fatigue, high blood pressure, arrhythmias, nausea and vomiting, and loss of appetite. Chronic kidney disease is irreversible. There is no cure. Patients may have to be permanently on dialysis. The FDA required that warnings be added to prescription Nexium labels warning about an increased risk of bone fractures from both Nexium and other PPIs. The risk of bone fracture is thought to be limited to prescription strength medication only, due to its relatively high dose. The FDA has not required that warnings be added to the over-the-counter labels. Is the manufacturer of Nexium at fault? Plaintiffs in Nexium lawsuits allege that the manufacturer knew about the serious health risks posed by the drug, but failed to warn the public, placing profit over safety. There are several categories under which legal claims can be brought. Negligence can be found if AstraZeneca is found to have failed to prevent injury to patients. Drug manufacturers must research and test products before bringing them to market. Negligence can be found if courts find that the design, research, and testing was not adequate. Drug manufacturers must also include complete information on the labels of their products, including information about potential risks and side effects. If they do not do this, legal claims of negligence can be brought. These are often termed “failure to warn,” meaning that the manufacturer failed to warn either the medical community or patients. It has been alleged, for example, that AstraZeneca kept selling Nexium without warning about the risk of bone fracture, despite studies indicating that this was a potential risk. Legal claims can also be brought if it can be determined that manufacturers or their representatives knew of risks and side effects, but did nothing or attempted to conceal the information from the public. Strict liability can be found by courts if the product is found to be defective. This is the case even if manufacturers can show that they researched and tested a product. Currently, roughly 172 cases alleging that Nexium caused harm to patients are pending in 30 U.S. District Courts across the country. One was filed by a Louisiana woman whose claim states that using Nexium from 2007 to 2013 caused chronic kidney disease. Her suit notes that she would have avoided the medication had she known of the potential dangers. Early in 2017, the U.S. Judicial Panel on Multidistrict Litigation declined a request to centralize all Federal PPI kidney cases before a single court. The reason for the decline was the number of different manufacturers involved. 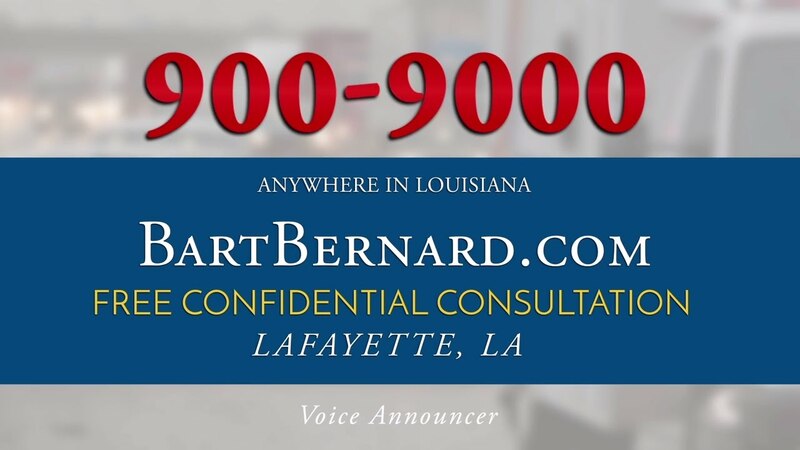 If you or a loved one has been taking Nexium or any other PPI and have experienced symptoms of kidney damage or kidney failure, please contact Bart Bernard. We have decades of experience in drug injury and personal injury litigation and are currently reviewing Nexium injury cases. We can handle your case with the individual attention and zealous advocacy you deserve. Our initial consultation on your case will cost you nothing. You only pay a fee if you win your case. Call today or contact me online.